My name is Ashley Hafley and I am 22 years old. I heard of WIOA when the Career Coach, Mr. Velasquez, attended Valley College for Orientation. Not only did WIOA help me pay for my tuition at Valley College, but they also provided me with Supportive Services for transportation and to pay for my NHA Certification exams. As part of my externship with Valley College, I worked for Dr. Agbayani. After I completed my externship, I was offered a part time position at Dr. Agbayani’s office, which I gladly accepted. I am currently working on my NHA Certifications hoping with those credentials I will be able to gain full time employment. I would like to thank WIOA and the Berkeley County Adult Learning Center for showing me that there is genuine help out in the world and special thanks to Angel Velasquez for pushing me to be great and showing me that there is help out there. Dylan Riggleman was working as a cashier at a local supermarket when he first came to the WIOA office in January 2016. He had previously earned an associate of arts degree in general studies and a certificate in Allied Health and was interested in nursing as a career. 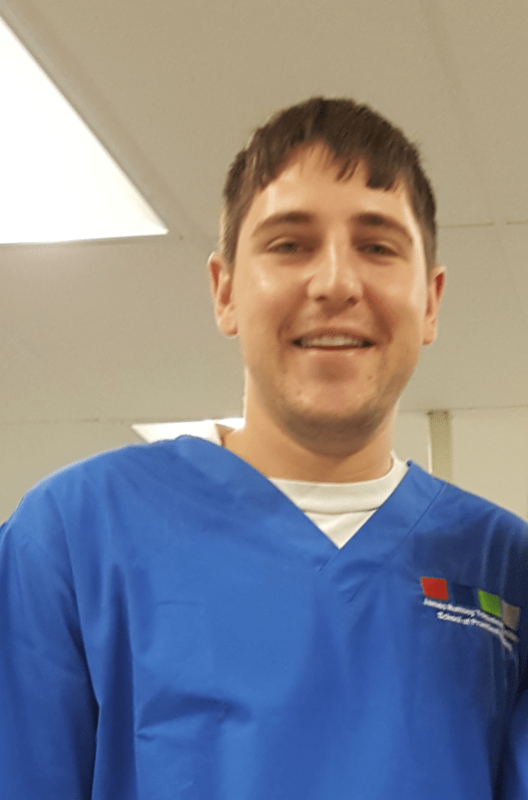 Although Dylan ultimately wanted to be a RN, he felt that the right initial step for him was a LPN program. He was very eager to start his career path and was accepted into the program at James Rumsey Technical Institute. Dylan began his studies in July 2016 and graduated on June 23, 2017. He passed his State boards the following month and immediately applied at the VA Medical Center in Martinsburg. After interim jobs at Valley Health Urgent Care and Clary Grove, Dylan was offered and accepted a job at his employer of choice, the VA Medical Center. Elizabeth Granese was working in housekeeping at a local resort when she sought assistance through the WIOA office. She had previously worked in a poultry processing plant and in fast food. Although Elizabeth has a two-year degree, including prerequisite coursework for nursing, she lacked the specific technical/career skills to be immediately marketable in a challenging rural job market. She felt that more specific training in the medical field would lead to job security and a living wage. Elizabeth decided to apply to the LPN program at James Rumsey Technical Center, where she was subsequently accepted and started training in July 2016. Elizabeth graduated in June 2017 and passed her State boards in July. Elizabeth Granese was offered a job as a LPN at Willow Tree Manor in Charles Town and has been employed there since June 2017. She plans to continue her education in the future and become a RN. Jennifer Propst came to the WIOA office with a strong work history. Her former jobs had been mostly clerical in nature and paid an average of $10.00 per hour and she typically had to drive a minimum of thirty miles one way. As a single mother of two she struggled to make ends meet. Jennifer knew that she needed a career to be able to adequately provide for her family. 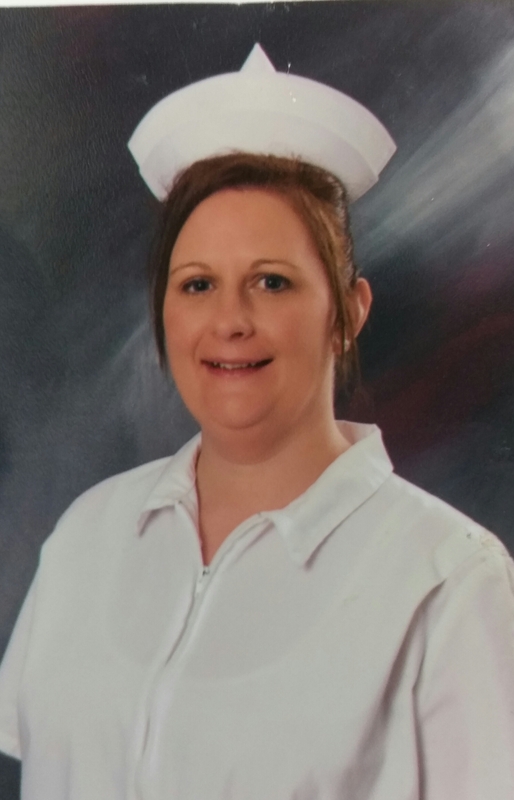 She was accepted into the highly competitive LPN program at Randolph Technical Center in Elkins, WV, a distance of over 70 miles from her home but still the closest State-approved LPN training provider. For the next twelve months, Jennifer attended training, often staying with a friend who lived closer to Elkins, while continuing to work part time. Jennifer Propst graduated in February 2017, passed her State boards in March, and was hired as an LPN at the Kenneth “Honey” Rubenstein Juvenile Center in April where she is still employed. My name is Korrina Moxley and I am 25 years old. In May 2017, I proudly graduated with an Associate Degree in Business Administration from Valley College. After graduation, my Career Adviser from Valley College, Mr. Peter Christensen, informed me of a career opportunity with a local family owned and operated business. He said it would be the perfect opportunity to utilize my degree and build a solid career for myself and my family. He assisted me in building my resume. Once my resume was revised and looked poised for success, I sent it off to Johnson & Johnson Heating and Air Conditioning. After a few weeks, I was contacted by the COO of Johnson & Johnson Heating and Air Conditioning and asked to come in for an interview. When I attended the interview, I spoke with the Owner and COO about the company and what they were looking for. I quickly realized I would be a perfect fit and this is where I needed to be. The atmosphere was incredible… I felt at home. After the interview, I was asked to contact the WIOA Career Coach, Mr. Angel Velasquez, and verify eligibility for the WIOA on the job training program. Mr. Velasquez explained to me how WIOA will be able to help my employer and how I would be able to benefit from it. After providing some documentation, I was effectively placed with Johnson and Johnson Heating and Air Conditioning. On July 2017, I started my new career as the Office Manager at Johnson & Johnson Heating and Air Conditioning. Though, I have only been with Johnson & Johnson a few months, they have given me the opportunity to further my education. I am now certified as a Management Consultant. I am extremely grateful for the help from WIOA and Johnson and Johnson Heating and Air Conditioning, as they have provided me the tools to pursue a career I am passionate about. It feels great to be a part of such an amazing company. Talking to the customers daily and assisting them with their needs is a wonderful feeling. A feeling I was longing to have back. The staff is amazing to work with and they are very passionate about the company. I am excited to see where this company will take me and they opportunities that lie ahead! My name is Amy Lam and I am 34 years old. After enrolling for the LPN program at James Rumsey Technical Institute in 2017, I was advised of the WIOA program. After attending orientation I realized I was eligible as a Dislocated Worker. Not only did I receive helped for my tuition, WIOA assisted me with supportive services for my transportation. Shortly after graduating and obtaining my license, I received a job offer from Clary Grove for a LPN Supervisor position. WIOA also helped me with supportive services to buy the scrubs that I needed for work. I have been working at Clary Grove since then and I cannot be any more thankful for all the help and assistance from WIOA. I now have a career and WIOA eliminated all barriers that would have prevented me from becoming a successful LPN. Corey Gano, a twenty-six-year-old father of three, worked as a fork lift operator from the time he was eighteen until he was laid off in October 2015. Unable to find work and with his UI benefits almost exhausted, he came to the WIOA offices for the first time in March 2016. He felt that getting his Class A CDL license would increase his marketability as he sought full-time, permanent employment at a living wage for his family of five. With three children under seven, his dream included finding a local job where he would be home every night. On December 23, 2016, Corey Gano received his Class A CDL license. One month later, on January 25, 2017, he was hired as a truck driver for Grant County Mulch, a local company, and is still employed there. 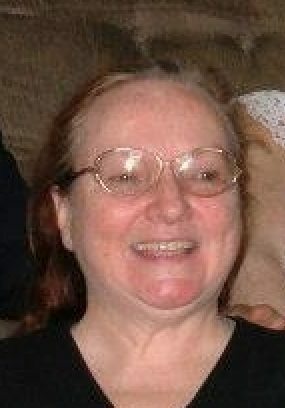 Originally from Maryland, Darlene Taylor worked as an office assistant and a housecleaner before relocating to West Virginia in 2008. She was working part-time on an “as needed” basis as a Relief Postmaster when she was laid off in July 2015. She spent the next year searching (fruitlessly) for employment, her situation complicated by the twin barriers of living in a very rural part of Hampshire County and being a mature job seeker. By the summer of 2016, Darlene had exhausted UI benefits and was long term unemployed. She had an interest in the medical field, specifically in working as a care giver, and felt that the Certified Nursing Assistant program at Eastern WV CTC would be a good fit. Ms. Taylor started her training in October 2016 and completed six weeks later in November. She was delayed in taking her certification exam until January 2017 due to personal issues, but she passed and accepted a job at E.A. Hawse Nursing and Rehabilitation Center in February. Darlene worked there through June, but left to take a position with Home Instead, a company that specializes in in-home care to elderly and disabled individuals. She remains employed by Home Instead and finds it very rewarding. Ethan Lapinski’s employment history over the past ten years evidenced a consistent progression to ever-better jobs and pay. He had worked as a delivery driver, a lawn care specialist, and most recently as a production operator in a manufacturing plant. Ethan has demonstrated a strong work ethic. His manufacturing job in Maryland was almost two hours from his home in West Virginia. Nevertheless he worked that job for four and one-half years until company restructuring led to his layoff in March 2016. When he was unable to find another job at a similar wage, he decided that additional training might be in his best interests and he came to the WIOA office at the end of October 2016. Ethan chose Class A CDL training and selected Eastern WV CTC as a training provider. He started training at the end of November and received his Class A CDL license on December 29, 2016. 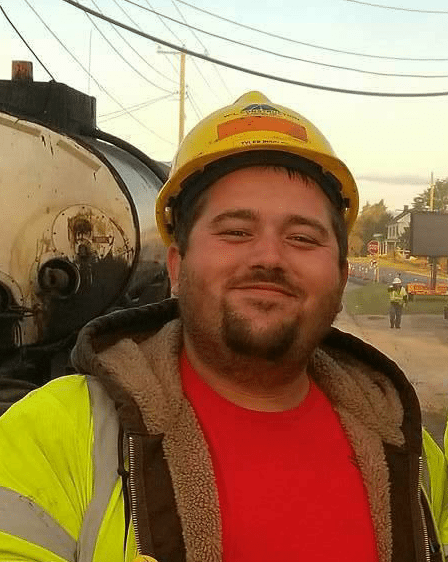 He worked initially as an Operator in Training for the Berkeley County Public Service Sewer District but in August 2017 Ethan Lapinski found a job closer to home with W-L Construction and Paving. Clinton Vandevander’s work history is nothing if not varied. In the past twenty years he has worked as a laborer, accounting clerk, forklift operator, scale operator, process technician and even as a customer service rep at a local bank. From October of 2014 until July 2017, Clinton worked for a manufacturer in Winchester, VA, traveling 120 miles each day to earn $16 an hour. The lengthy commute took a toll and he resigned and took a job at Allegheny Dimensions to be closer to home albeit at a greatly reduced rate of pay. Unfortunately, this job was not a good “fit” and after only two months he was laid off. Clinton felt that getting his Class A CDL license would open opportunities for him. At that time the closest training provider was Garrett College in Grantsville, MD. Clinton traveled approximately 150 miles a day, four days a week, for seven and one-half weeks to access training. On November 7, 2017 he received his Class A CDL license. 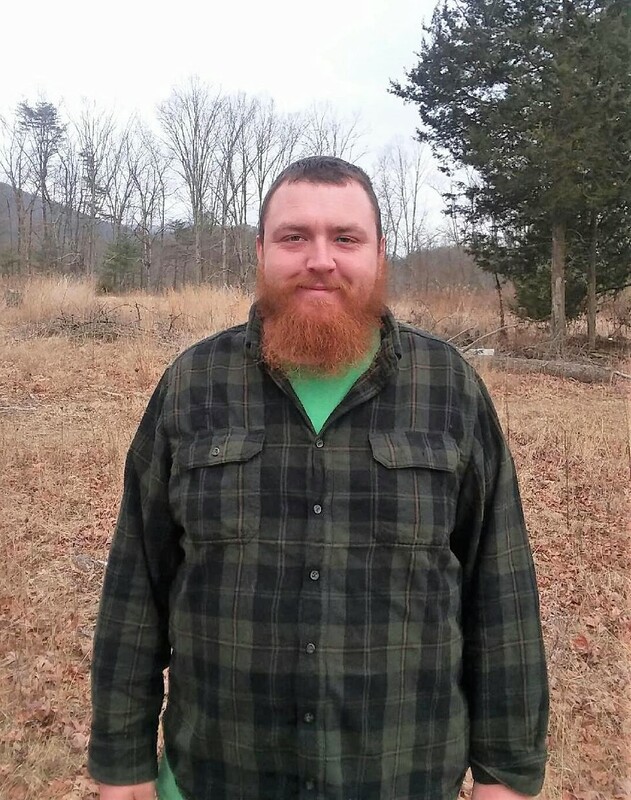 On December 18, 2017 Clinton Vandevander was hired as a truck driver at the Pilgrim’s Pride Hatchery in Moorefield, WV (less than fifteen minutes from his home!) and is still employed there. My name is Lee Manning and I am 45 years old. I was referred to WIOA from Workforce WV. After learning how WIOA could help me, I immediately reached out to All-State Career Center for information about the classes. My name is Ronald Casstevens and I am 23 years old. I enrolled at Valley College for the HVAC program and while in school I heard about WIOA. I was honorably discharged from the US NAVY and qualified as a Dislocated Worker. Not only did WIOA help me with my tuition at Valley College but also got me rolled over to their On-the-Job training program. I was placed with Johnson & Johnson Heathing and Air where I obtained my NATE Certification. I am now currently employed as a Service Technician. I cannot thank WIOA enough for all the help, not only with my tuition at Valley College but with my Certifications through their OJT Program with Johnson & Johnson Heathing and Air. I have now found a career and I feel like I work with family. Shawn Feaster came to the WIOA office within three months of his most recent layoff in January 2017. At that time he had been working as a maintenance technician for a manufacturing plant. Three years earlier he had been laid off from a similar position. Before that, Shawn had a three-year stint with the local laborers’ union. All of these jobs paid from $17 to $19 an hour and Shawn was looking for secure work with similar earnings. Truck driving was a field he felt would meet his income requirements and suit his personality as he enjoyed working alone and being outside. He was open to the idea of being an over-the-road driver if need be, but hoped he could find work relatively close to his home in Keyser, WV. Shawn chose to attend Garrett College and got his Class A CDL license on June 13, 2017. He was hired as a truck driver by Dot Foods in August 2017, driving a regional route, and is still employed by them. No stranger to hard work, Tyler Riggleman was working before he graduated high school, first in the poultry industry and after that as a laborer on a local farm. In May 2016 he took a better-paying job with Nelson Tree Service, Inc. and worked as a trimmer and equipment operator. Unfortunately, he was laid off at the end of 2016. As a new father, Tyler very much wanted a permanent job with decent pay and benefits where he would be home every night. He felt that he would be much more marketable with a Class A CDL license and sought our assistance with funding. He started training at Eastern WV CTC in February 2017 and received his Class A CDL license on March 9, 2017. 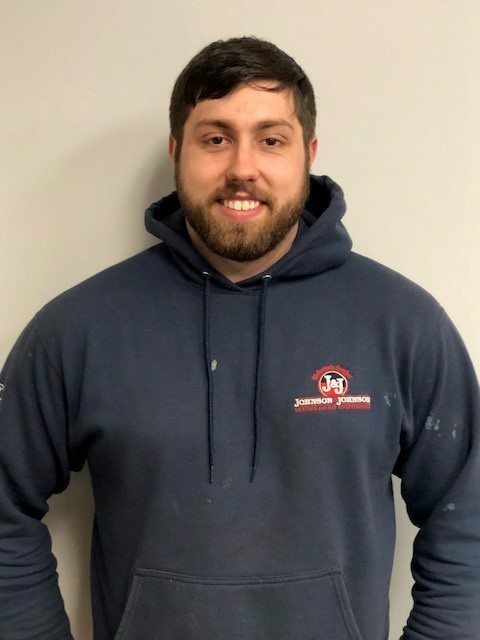 Tyler Riggleman was hired as a Multi-Axle Dump Truck Driver by W-L Construction and Paving, Inc. with a start date of April 4, 2017 and continues to be employed by them. He was registered with the WIOA Youth Program on October 12, 2017. Dylan successfully obtained his Test Assessing Secondary Completion (TASC) on October 28, 2017. Dylan was working for Silent-Aire USA Incorporated when he began classes at the Adult Learning Center. He needed to complete his TASC to keep his position at Silent Aire. 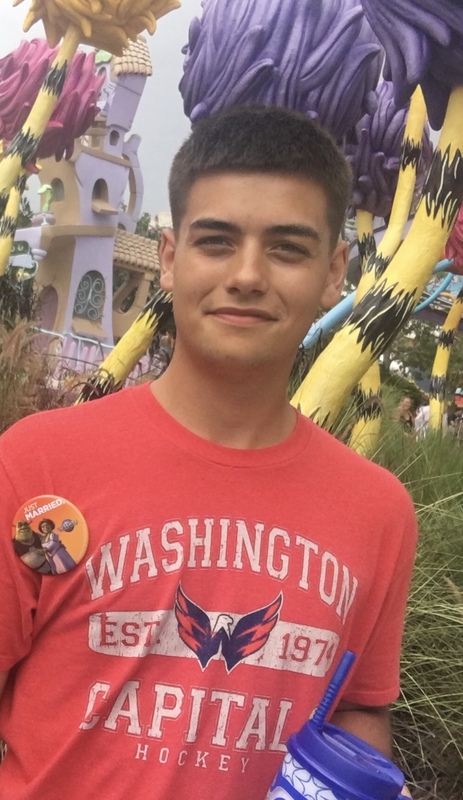 Corey, a 17-year-old high school senior, was referred to the WIOA Youth Services program by Principal Strawderman of East Hardy High School in Baker, WV. Enrolled into our program in January 2017, Corey earned his high school diploma in May of the same year. Through the program, Corey benefited from hands on work experience at the school as well as grade and attendance related incentives. He has since enrolled in college where he is looking forward to a career in baseball. Corey is currently attending Ohio Valley University. Benjamin was referred to WIOA Youth Services by Hampshire County Adult Education Instructor Sherri McCrory. Ben was enrolled into our program on November 14, 2017 and earned his high school equivalency diploma on December 5, 2017. Ben was accepted into Potomac State College of West Virginia University on January 18, 2018. BreAnna, a 19-year-old high school dropout, was referred to the WIOA Youth Services Program by Hampshire County Adult Education Instructor Sherri McCrory. BreAnna was enrolled into our program on August 25, 2017 and earned her High School Equivalency Diploma on September 26, 2017. She continues her education at the Hampshire County site where she is working on earning her certificate as a Certified Nursing Assistant. Megan was enrolled in our program on September 16, 2015 and earned her high school equivalency diploma on October 25, 2017. 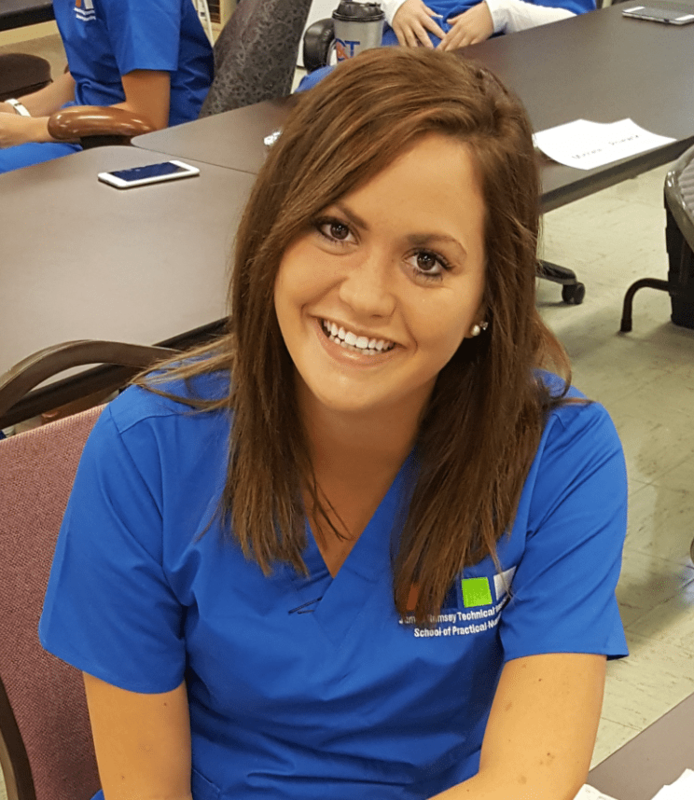 Although Megan took the long way around, once she attained her HSE Diploma, she took charge of her future and decided to pursue a career in the healthcare field. She was employed by the Potomac Highlands Guild as a Direct Care Professional. While working as a temporary employee for WorkForce WV, Tom Kimm was presented with the opportunity to interview for a full time position with Court Appointed Special Advocates (CASA) of the Eastern Panhandle (EP). The interview was coordinated through the WDB Office and Vicki Barnard, Executive Director of CASA-EP. Ms. Barnard has utilized the WIOA OJT services in the past and has had excellent results. Tom was inspired by the work done by CASA-EP and was hired after the second interview. Tom is now the Volunteer Coordinator and using his skills and work experience to help abused and neglected children of the Eastern Panhandle. In spring of 2014, a number of service members attached to the 167th Air National Guard in Martinsburg, WV learned that they were going to lose their jobs as aircraft mechanics due to the decommissioning of the plane they worked on. A plan was developed to assist these individuals in transitioning into civilian careers in the aviation industry. Because Pierpont Community and Technical College had already developed a curriculum for aircraft mechanics, they would take the lead in providing the training, which would be offered on site at the Base. The impacted service members had received layoff notices and, because of this, met the criteria for dislocated workers and were eligible for WIA services, including training services. The 167th Air National Guard allowed WIA staff to come on base and conduct orientation sessions and assessments. Twenty individuals received orientation to WIA services and assessments. Three were referred to their states of residence to receive services. Eight individuals completed the WIA application process. Two were able to secure employment prior to the class start date. Six individuals were enrolled in the five week class, Airframe and Powerplant Training for Aircraft Maintenance Technician Certification. Five of those completed the course: Preston Bowers, John Breitenbach, Christopher McCormick, Michael Showe, Jr. and Larry Southard . These individuals will receive certifications which will qualify them for high-paying jobs in the aviation industry. Jessica Snyder is registered in the WIA Adult Program. She is a single mother who also happens to be an Army veteran. Her duties in the military included maintaining clinical records so enrolling in the Medical Clinical Assistant program at Valley College seemed like a great fit. Not only did the program offer a smooth transition from her military life into civilian life, it also allowed her to find a great job in a field that would allow her to work hours conducive to being a single parent. While attending Valley College, Jessica was offered an internship at City Pediatrics. City was so impressed with her skills and love of children that they offered her full-time employment upon completion of the program. Jessica continues to thrive. Bernadette Hall is registered in the WIA Adult Program. She was an in-home healthcare aid for years but had to work evenings part-time to supplement her income. Nursing seemed a natural transition for her. 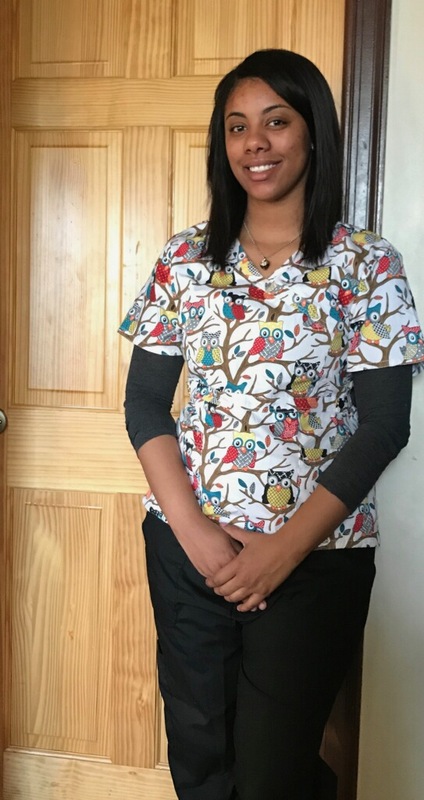 Bernadette completed Valley College’s CNA Program and was offered a great job in the Case Management Department at Valley Health Systems and couldn’t be happier. Regina Schan is registered in the Dislocated Worker Program. Regina is a single mother that struggled to put four children through college working as a CNA. That is quite an accomplishment but she wasn’t finished yet. Regina decided that it was her turn. She finished the LPN Program at James Rumsey and is now working with EastRidge Health Systems. After only a few months, she was promoted to Supervisor and was able to purchase her very first NEW CAR! Destinee Easterday is registered in the WIA/Adult Program. Being young and unsure of her future, Destinee attended Valley College’s CNA Program. She accepted a job at Willowtree Nursing Home upon completion. Being a CNA has inspired Destinee to further her career. She is currently enrolled in the two year RN Program at BRCTC. Steven Stinchcomb is registered in the Dislocated Worker Program. Steven spent several years working different positions in warehouses. After he got laid off, he decided that being a truck driver was the best option for him. He attended the CDL Program at James Rumsey and is currently a OTR Trucker for D.M. Bowman. Jason is a 2002 graduate of Jefferson High School. He was laid off from his job due to lack of work. During this time his family had grown with the birth of twins and he was in need of a stable career. Mr. Cook enrolled in class at Eastern West Virginia Community and Technical College in April of 2014. Once his training was completed, Jason passed his exam and obtained his class A CDL license. He was hired by the West Virginia Department of Highways and is enjoying being home every evening with his family. Courtney was a 17-year-old, single mother and high school dropout when she visited the WIA Case Management Office in Martinsburg. She informed our Youth Case Manager that she would like to obtain her GED, so that she could become more employable. She asked what services the program could provide in helping her obtain this goal. She was then registered with the WIA Youth Program in May of 2013. The program was able to provide her a travel stipend to attend GED classes in Jefferson County. By late December, Courtney had successfully obtained her GED and began looking for employment. The WIA Youth Program was able to set up a paid work experience at Econo Lodge in Harpers Ferry for Courtney to work until she was able to find full time employment. Currently Courtney is working at Wal-Mart in Charles Town as a cashier. Yussef was an 18-year-old, unemployed high school dropout when he visited the WIA Case Management Office in Martinsburg. He informed our Youth Case Manager that he would like to obtain his GED, so that he could become more employable. He asked what services the program could provide in helping him obtain this goal. He was then registered with the WIA Youth Program in August of 2013. The program was able to provide him a travel stipend to attend GED classes in Berkeley County. By early October, Yussef had successfully obtained his GED and began looking for employment. Currently, Yussef is working at Macy’s Distribution Center in Martinsburg. Joshua Whetzel, a 17-year-old Senior at Moorefield High School, enrolled into the youth program in May 2014. 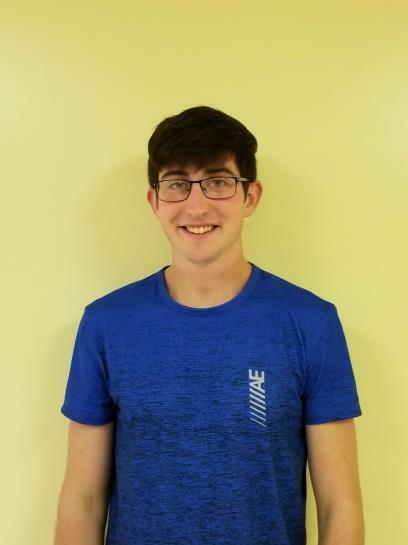 Josh started receiving summer employment opportunities with the Hardy County Board of Education in June 2014 and plans to return during summer 2015. Following graduation from Moorefield High School in May 2015, Josh will be attending Potomac State College majoring in engineering. In addition to the youth summer employment program, Josh works at Hawse Shop-N-Save and takes college-bound courses through Eastern WV Community & Technical College. Andrea Whetzel is a single mother who relocated to Martinsburg from Petersburg in 2015. She had been working at McDonald’s but was looking for more opportunity and a better future for her and her children. Andrea visited the admissions department at Valley College and was very interested in their Certified Nursing Assistant (CNA) program but she couldn’t afford the tuition and fees. Valley referred her to WIOA and she was able to get the CNA certification she had desperately wanted. Laura is now employed at Clary Grove Nursing Home. Celia was a 16-year-old, single mother and high school dropout when she visited the WIOA Case Management Office in Martinsburg. She informed our Youth Case Manager that she would like to obtain her high school equivalency diploma (HSED), so that she could become more employable. She asked what services the program could provide in helping her obtain this goal. She was then registered with the WIOA Youth Program on January 22, 2014. The program was able to provide her a travel stipend to attend adult education classes in Berkeley County. By early January 2015, Celia had successfully obtained her HSED, and she began looking for a college to attend. The WIOA Youth Program was able to set up a paid work experience at Illusions Hair Salon in Inwood for Celia to work until she was able to start college. Currently, Celia is attending Blue Ridge Community and Technical College. Jeff Lone was under-employed and seeking full-time work when he was referred by WV job service staff for an OJT at Judy’s Drug Store. He was placed in August 2015 and while working at Judy’s also attended a Pharmacy Technician training program at Eastern WV CTC as part of his training plan. He successfully completed both his OJT placement and his studies at Eastern and was picked up as a permanent employee in December 2015. 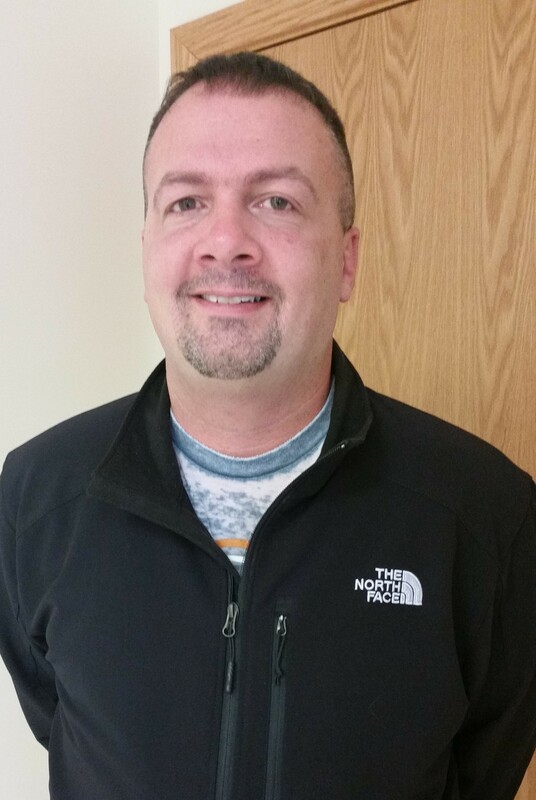 In March 2016, Jeff passed the National Healthcareer Association exam and is now a Certified Pharmacy Technician. Brittany was a 20-year-old, high school dropout when she visited the WIOA Case Management Office in Martinsburg. She informed the Youth Case Manager she wanted to find employment, but first needed to obtain her TASC. She asked what services the program could provide in helping her obtain her goals. She was then registered with the WIOA Youth Program on September 11, 2012. The program was able to provide her a travel stipend to attend TASC classes in Berkeley County. By late September 2014, Brittany had successfully completed her TASC, and she began looking for employment. The WIOA Youth Program was able to set up a paid work experience at Martinsburg-Berkeley County Parks and Recreation for Brittany. Brittany was able to use her references from the paid work experience to secure a job working at Outback Steakhouse. Brittany’s future plans include pursuing a career in the medical field. Cheryl Mills is registered in the Dislocated Worker Program. Cheryl was a paralegal for several years but was unexpectedly laid off. Having the desire to help people, Cheryl decided on a different career path. She attended the LPN Program at James Rumsey and upon completion, attained full-time employment at Willow Tree Nursing Home. Caitlyn Harmison is registered in the WIA Adult Program. Caitlyn worked in the food service/hospitality industry, but as a single mother, found that minimum wage would not allow her to raise her daughter without a struggle. Believing that a career in nursing could provide a better life, she enrolled in the LPN Program at James Rumsey. She is currently working for the Department of Prisons and has just enrolled in the two year RN Nursing Program at BRCTC. Van Heslop is registered in the Dislocated Worker Program. Van was an in-home healthcare provider and a youth pastor. He was laid off from his youth pastor position so decided to use his experience in healthcare to further his career. He completed the CNA program at Valley College and accepted a position at Willow Tree Nursing Home. He loves his job and has even been named Employee of the Month THREE times!!! Steven Hopkins is registered in the Dislocated Worker Program. He began the LPN Program at BRCTC several years ago but dropped out due to the stresses of life. He found work as a deli manager but always wanted to finish school. He decided it was time when he got laid off. Steven finished the LPN Program at James Rumsey as their Valedictorian. He works at Willow Tree Nursing Home as a Shift Supervisor. Amanda Miller is registered in the WIA Adult Program. Amanda received her radiology degree from Mountain State University but was unable to find employment in that field. When she lost a low wage job, she decided to try something new. 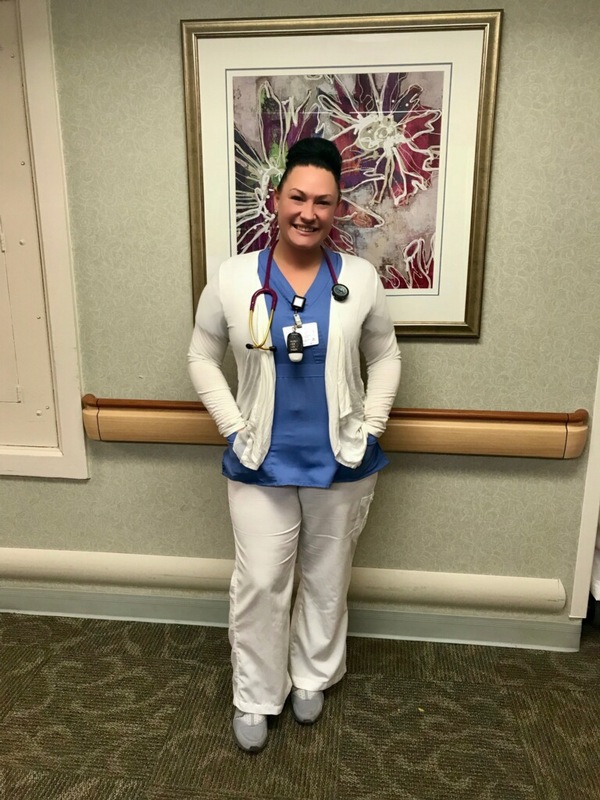 She attended the CNA Program at Valley College and is now working in a field that she loves at Shenandoah Nursing Home. Anthony was a 21-year-old, unemployed high school dropout when he visited the WIA Case Management Office in Martinsburg. He informed the Youth Case Manager that he wanted to attend college, but first needed to obtain his GED. He asked what services the program could provide in helping him obtain this goal. He was then registered with the WIA Youth Program in May 2013. The program was able to provide him a travel stipend to attend GED classes in Berkeley County. By late May of 2014, Anthony had successfully obtained his GED and began looking at colleges to attend. He decided to enroll at Blue Ridge Community and Technical College for the Fall Semester of 2014 and study Computer Programing. Anthony is also working at Domino’s Pizza in Inwood. The WIA Youth Program was able to set up a paid work experience at Martinsburg-Berkeley County Parks and Recreation for Anthony allowing him to work when he was not in class. His future plans are to become a Computer Programmer. Cheyenne Lender, a 17-year-old Senior at Moorefield High School, enrolled into the youth program in September 2014. 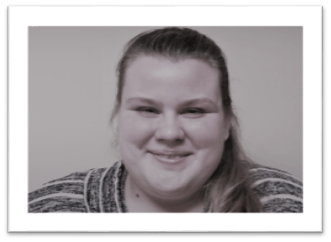 As a student in the Cooperative Education program at the South Branch Career and Technical Center, the youth employment program allowed Cheyenne to fulfill her work hour commitment at the Hardy County Health and Wellness Center. The program’s flexible hours were beneficial to Cheyenne as she is actively involved in several sports programs at MHS including volleyball and softball. Cheyenne will be enlisted in the National Guard in April 2015. 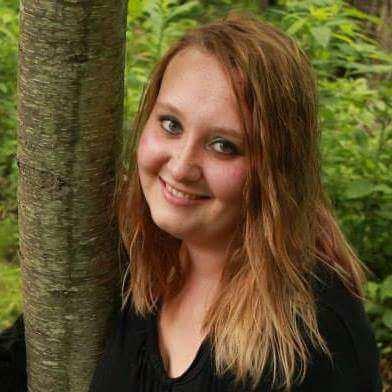 She will be a 2015 graduate of Moorefield High School, and plans to enroll at West Virginia University in January 2016. 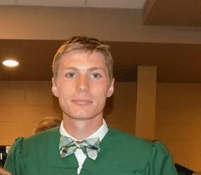 Michael Grapes, a 2014 Graduate of Pendleton County High School, was enrolled into the youth program in April of 2014. Michael participated in the paid work experience program under the supervision of the Pendleton County Board of Education. 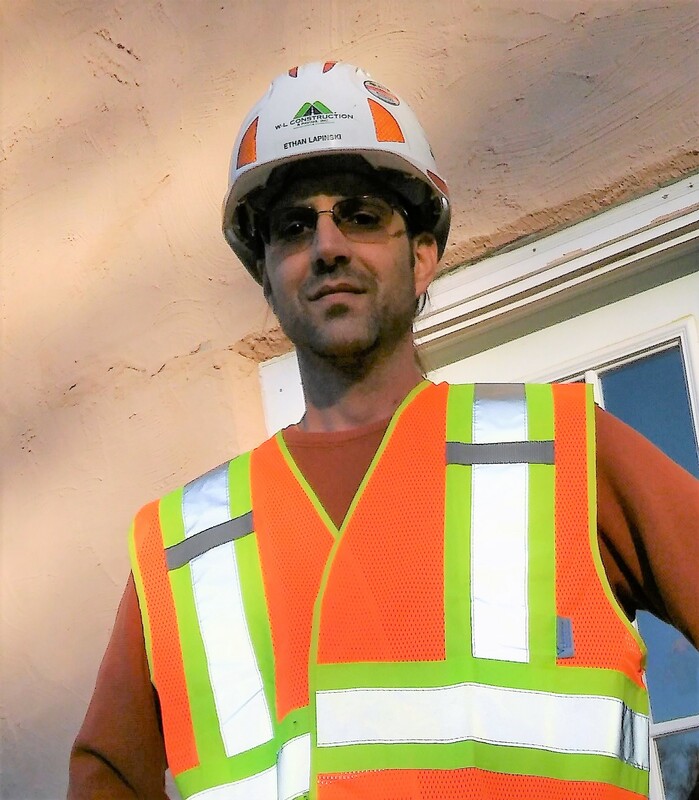 Michael is currently employed by Allegheny Wood products where he works stack-off and is cross-trained as a fork lift operator. Anna Harmon was laid off after five years at Hollywood Casinos in 2015. While she enjoyed the customer interaction part of her previous job, she was really interested in bookkeeping and accounting. Anna was referred to the WIOA office by WorkForce WV after filing her unemployment claim. She met with a Career Coach and it was decided that she would be a perfect candidate for OJT. 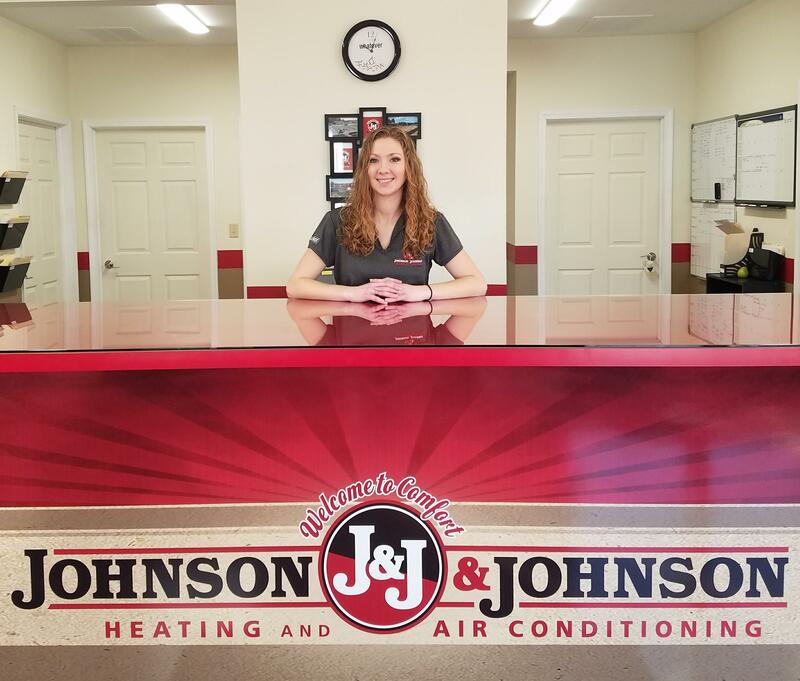 She was interviewed and placed with Johnson & Johnson HVAC. She completed the QuickBooks certification program at BlueRidge CTC and is now in charge of billing for the company. Hunter Largent is a single parent with a history of seasonal work. He was looking for steady, permanent employment after his most recent layoff in August 2015. When his job search proved unsuccessful, Hunter approached the WIOA office for assistance with training. He felt that getting his CDLs would provide him with better employment opportunities. Hunter completed training at Eastern WV CTC on the last day of 2015 and received his Class A CDL license the same day. 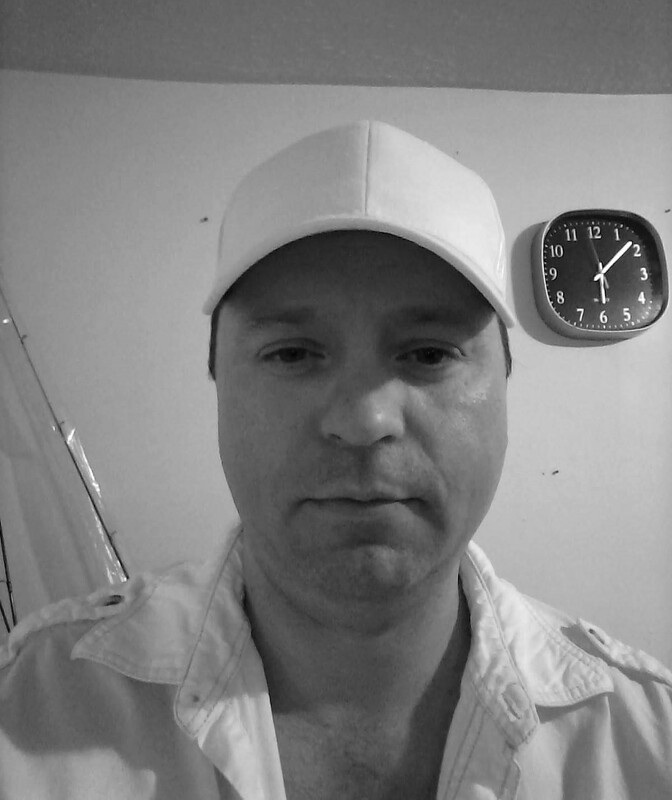 He is currently employed by Hartman’s Express, a local trucking company based in Mathias, WV, and is very pleased with his new career and increase in earnings. Michelle, mother of three, enrolled into the youth program as a 24-year-old, tenth grade dropout. She was enrolled in the Grant County Adult Education Program and received her high school equivalency diploma on September 25, 2015. Since enrolling in the program, Michelle also began working full-time at the Potomac Highlands Guild.